APGENCO AE Electrical 2017 Offline paper available. Previous Year Questions Paper of Electrical Branch. AE Electrical Questions asked in last year is presented here with a direct link to download in PDF form. Candidates who appeared in the exam can check their marks and also Electrical Candidates who didn't appear can download exam paper for practice. APGENCO Electrical AE paper in PDF form. 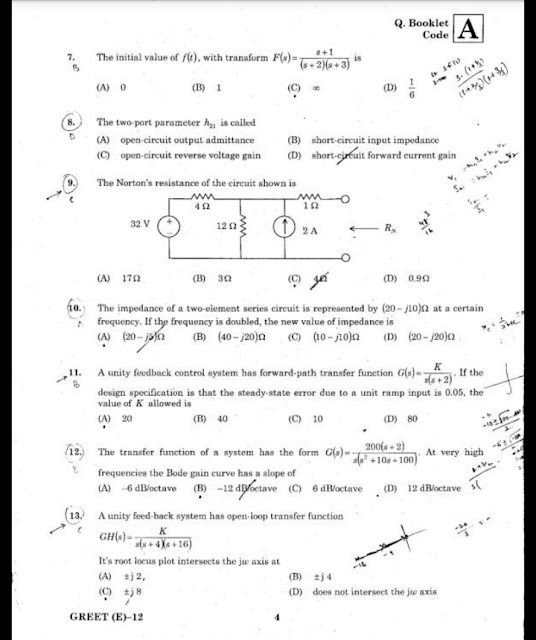 Direct link to download pdf questions paper of Electrical AE branch. The Offline Exam was conducted on 23rd April 2017 in Andhra Pradesh state. The exam was completed for selection of 94 Assistant Engineer in APGENCO. APGENCO is Andhra Pradesh State Power Generation corporation limited for production of power. Exam Date - 23rd April 2017.
exam will be provided Only Online mode. valid ID proof. Id proof is mandatory. on APGENCO AE Result link. given format and Submit it. 4.After that, you will see the APGENCO result. We regularly updated Previous Year Electrical Engineering PDF Exam Questions Paper. Keep visiting Our Website to get more Question Paper. Previous Year asked AE Electrical Paper.